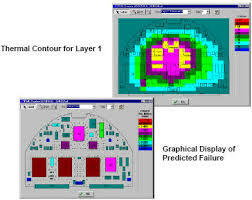 ASENT Thermal Analysis Suite ASENT’s Thermal Analysis Suite leverages pioneering work in physics of failure-based analysis. This tool suite allows you to start with general board-level design information, then trade off various constraints such as materials, packaging, and part placement to quickly gage the sensitivity of your design for a given temperature range. Users can quickly validate thermal-related problems, and identify potential solutions. Five different cooling methods are supported, and the graphical results viewer quickly highlights any problem areas. Price includes the first year of software maintenance. Please contact us for further details and a Quote!